Making regular backups should be a no-brainer, but unfortunately many people don’t bother. 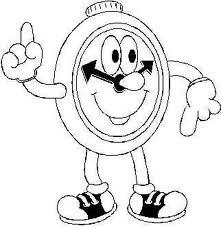 It could be that they just don’t know how, or it could be that they are lazy and have better things to do with their time. 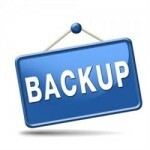 When it comes to website backups you have a number of options. 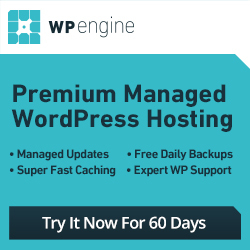 If you use a specific CMS like WordPress you have access to freely available plugins that can help you with this task. You usually have a backup option available in your hosting control panel as well, and it is also possible to use a custom script along with a cron job to schedule when it would happen. They are all similar though. 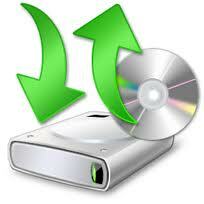 What they usually do is compress and package your files into one large file similar to zipping them up. The same with database backups. You can leave them where they are in your hosting web space, and hopefully nothing happens to the server they are stored on. You can download them assuming they are not too large because it may take a while if they are. Some plugins include the ability to transfer them to another location like to a DropBox account for example. Creating frequent backups can land you in trouble with your host for excessive CPU/Memory use especially when they large in size. The bigger they are the longer it takes to complete the process (More CPU power). For instance I have an account that consumes 1.7 GBs of space. It would be unwise for me to back this up on a daily basis because my host will surely complain eventually. Even on an occasional basis a backup this large can cause resource usage issues in a shared hosting environment. What I tend to do is keep a full backup on hand, and either download any new files that get created or compress them into one file depending on how many there are. Since my databases are much smaller I will back these up more often, but only if there is a need to do so. For instance I don’t see the point of performing one if I haven’t added new content, there are no new comments, plugin updates, etc. So do you really need to make these on a daily basis? Can you get by with 2-3 times per week or less instead? If you have a very busy active site you may want to schedule them often, but if you have a smaller site once per week may be more than enough. If you happen to be using shared hosting, then you also need to consider resource usage when it comes to how often you make them. Thanks, but I already make backups. Great, I am glad you have a plan. You are already ahead of most people then. But, have you tested them and are you confident that they will work? More importantly do you know how to restore them should the unexpected happen? It doesn’t help if you don’t know what to do with them now does it? No matter which method you happen to use it would be wise to learn the entire process including how to restore them. Also, I wouldn’t rely entirely on your host to make them. Years ago I had an account with an unnamed-company that couldn’t provide me with one that was less than 30 days old. Yikes! I am the site owner and administrator of DialMe.com. I provide help and tips for Boonex Dolphin on the main part of this website where you will also find an assortment of other resources. Here, on the blog I write about a variety of topics surrounding WordPress, technology, social media/networking, SEO, and webmaster resources. I guess instead of creating backup on your hosting server, you can get backup on your email account. There are number of WordPress plugins which makes it possible. I use to rely on a plugin until I realized one day that I wasn’t receiving my email notices. I guess it didn’t dawn on me and I let several weeks go by. I was so mad and went in search of another one but they all saved it to my server which you just pointed out is a huge no no. So I learned how to back up my blog manually and I do back it up every day but I’m getting comments every day so I don’t really want to lose those if possible. I wish I could say I’ve never had to use it but I’ve had to twice now due to my hosting service. The first one our server was hacked and my files were corrupted so I had to go to a clean backup and it worked beautifully. Then when I switched hosting services again this past February there was an incident. I was setting up my FTP client and for some reason as easy as it is to do it would not set up. So I asked my hosting service for help and instead of just deleting that particular one move they deleted my entire database. I couldn’t for the life of me figure out what the hell happened with my blog. Luckily this took place over the weekend and I had a backed up copy so I just loaded it back up and we were back up and running. Yep, it worked both times thank goodness! Those who don’t do this regularly have lost their entire blogs because of it. I never had to learn that lesson thank goodness. I just prefer being safe than sorry! Years ago when I was with a different host back when I didn’t know much about databases I asked if they had a more recent backup than what I had. Turns out the one they had for my account was a month old. So ever since I don’t put a lot of faith in them to provide one should something go wrong. It’s always best to keep your own just in case. Plus it gives you a little piece of mind knowing you have them available. I have some automation, but it’s not done daily. I do database backups fairly often, but I have so many files now I can’t back them up nearly as often in my shared hosting account. I have like 1.70+ GBs of space I am using, which consumes a bit of resources to compress them for download. Plus my internet isn’t so speedy to actually download a file that size. I think it is great that you actually do keep up with your backups on a daily basis though. So many people don’t do it at all. It’s no fun learning the hard way. For security and unforseen circumstances, i always take personal backup of all wordpress powerd blog. 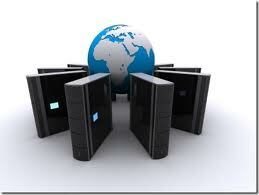 It is very essential to take backup of your site. You should depends on hosting provider for this. Infact some hosting provider fails to provide backups. Anyway Thanks for the write up. Hi Ray, What an important post. You’re right, backing up is essential. 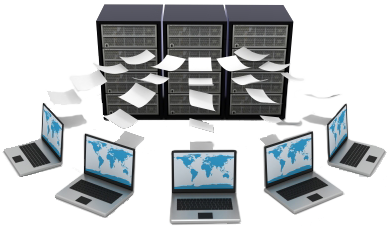 A hosting backup is helpful but you really should do one on your own. Good point, people often don’t realize the importance of backups until something goes wrong. My hosting service, Bluehost, has a backup that I had to do once. They back up at midnight so I only lost two comments. I also use a plugin, Backup to Dropbox, that is a failsafe in case my Bluehost backup doesn’t work. I don’t know how to restore, but I know to whom I can turn for help should I need to restore. Thanks for this important article, Ray. I will be sharing this with others. I know a lot of people getting started with a web site don’t even think about backups. I could live with losing a few comments or even an article or two, but I couldn’t imagine losing months worth or work, or everything. A few years ago my hosting provider had one of their hard drives fail. They replaced it and restored a backup from the other drive. I expected to lose something, but when everything came back online I couldn’t find anything missing. It did result in around 18 hours of down time since it involved all accounts on the server, but to me that was nothing compared to what could have happened instead. That one was totally unexpected and proves that you just never know. Hard drives don’t last forever, and hopefully there is a backup plan in place for when they do. I have heard people mention a backup to DropBox on a number of occasions, but haven’t tried it myself. I do have an account with them that I use on regular basis though. Auto backup in wordpress is the easiest think yeah taking regularly backup of other cms & html site it’s little hard every time doing manually backup. WordPress is the one of the best cms it’s allow us great features at free of cost we need to pay for premium themes or plugins only. It’s indeed good practice to always have your own copy of your latest sql and public folder files; you can never expect accidents to happen, such as the physical server catching fire. I do occasionally go on the lazy side and let my web host do the backup when I get very occupied. Fortunately, my webhost is reliable, but I try to make the effort to backup manually whenever I’m free. I hear you with getting lazy sometimes. It is easy to get busy and to put it off. I am good about keeping up with database backups. My files are another story though. I have way too many of them right now. I guess that’s what happens after all the years I have had this site. You never really know what might happen. I mean we don’t like to think about it, but anything is possible. My host had a hard drive crash in the past. Luckily they had a secondary backup, but if they didn’t I would have had a big job restoring my own stuff. Anyway even if you only do them 1-4 times per month at least you wouldn’t lose everything if something happened. you raised a good thing to be done by every blogger to protect his blogger posts.if anything happens while we are doing modifications to our blog,then our posts will permanently removed.so we have to keep backup copies of our blog time to time to assure about data of our blog. thank you post jeremy. Thanks for stopping by Harish. You definitely need a good backup plan in today’s world. It’s not worth risking losing it all or anything for that matter. I wouldn’t count on your host to make backups on your behalf. Although, most do a decent job there is still the possibility that something can happen. For your best piece of mind it’s downloading your own backup. There are other options of course, but downloading backups to your computer is a good option. Subscribe now and we will notify you when we add new resources as well as LocalWP updates. Want to develop and test WordPress locally on your computer? 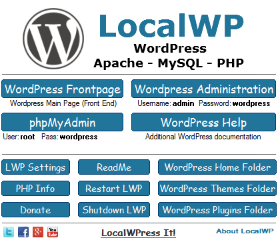 Then, be sure to check out and download LocalWP. The ideal solution for the beginner and novice. It doesn't get any faster or simpler than that! Boonex Dolphin, Wordpress, Seo, Technology, Web Server and Hosting Specialist.